Do decorate your bathroom? If you are planning to do that, here are some tips from our friend Kathleen from After the Build. For sure, you will find this helpful! More often than not a bathroom looks better off without much stuff. If you want to remodel your bathroom, it is probably a good idea to stop and think whether you need to make lots of changes or stick with a simple design to transform the interior. 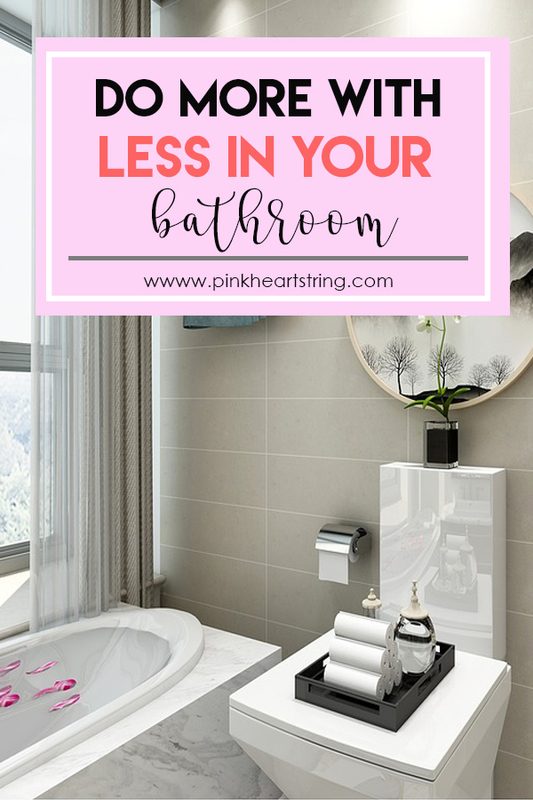 The truth is, you can do more with less in your bathroom, though you may not realize it. Applying a few changes to your bathroom interior can make all the difference between a cramped bathroom and a minimalist one. There are several things you can do to remodel your bathroom the inexpensive way, while keeping the interior beautiful. Check out some tips and advice which we have provided in this article. 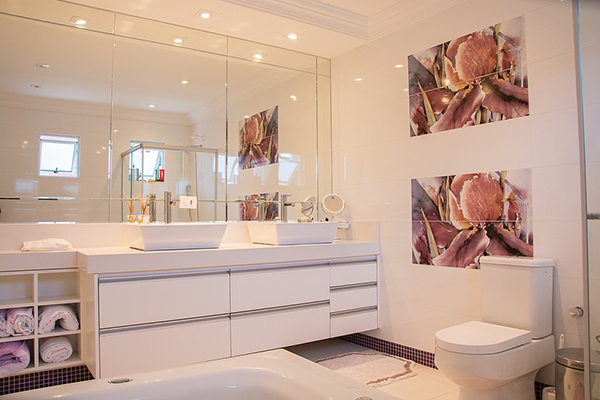 In order to create that simple and clear look of your bathroom, you should paint the walls of your bathroom white. It not only makes the room appear larger, but also cleaner and tidier. You can choose other colors as well, as long as they are not too bright or bold. But since you are trying to create a minimalist design, you need to stick to one color. 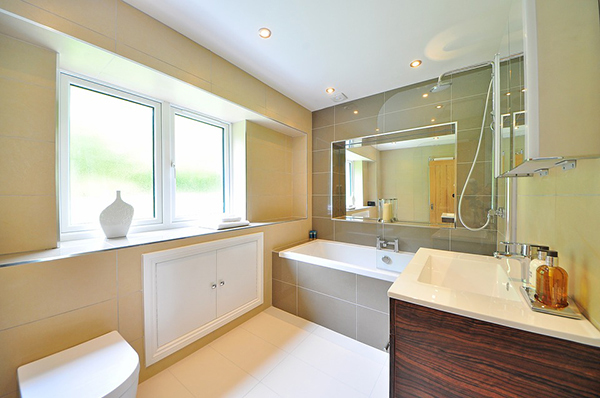 White is one of the most common colors when it comes to bathrooms. One of its advantages is that it can make a room feel bigger. Whereas dark colors create the feeling of an overcrowded place. However, if you want, you can use gray, beige, purple and brown. Nothing will give a more luxurious look to your bathroom than white towels. If you want to get a minimalist bathroom, you need to use white towels. If you don't have white towels, you had better display no towels at all. To make the look of your bathroom more minimalist, make sure to use an acrylic or glass door instead of a shower curtain. The former will create a more minimalist look of your bathroom. In case using a glass door is not an option for you, you will have to make do with the shower curtain. Just make sure it is white and as simple as possible. If you want to remodel your bathroom, it might be better to start with replacing the furnishings. This may sound like an expensive solution, but it doesn't have to be. There are lots of furniture pieces on the cheap. Choose a simple design from a home improvement store. Plus, as you aim to achieve a minimalist look, you will only need a few furnishings (think cabinets, sink, toilet and shelving). One thing you need to understand about minimalist bathrooms is that all surfaces should be clear. Your items should have a designated place. Keep them where they belong, preferably hidden in a drawer or cabinet. If you want to create a minimalist bathroom, especially if the place is small, you ought to steer clear of displaying too many items on the shelves. Hide most of the stuff behind cabinet doors and leave only the essentials, such as towels, toothbrushes, soap. If there are lots of stuff in your bathroom, you may start to feel closed-in and trapped. Make sure you clean up your stuff during your bathroom remodel to prevent the room from getting overcrowded. Not only will it improve the look of your bathroom, but also provide more space and make you feel much better. Finish off by accessorizing with one accent piece of your choosing. The options are numerous. For example, a glass bowl full of pebbles, flower vase, candle, etc. Get a minimalist bathroom look right away by following these simple steps and be sure to use handyman services. I love beautiful bathrooms. I hope I can have a bathroom that is as stylish and easy to maintain.